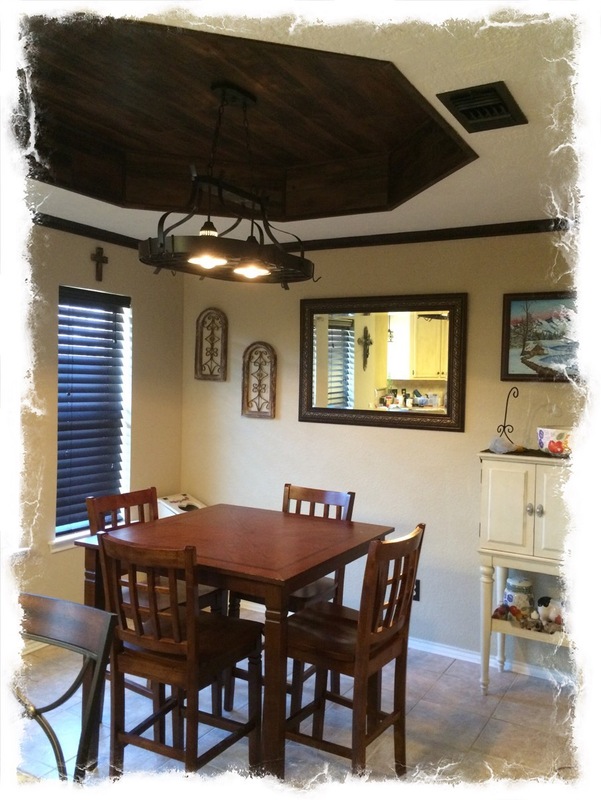 Well back in September when I posted the Breakfast Nook Remodel, I just thought it was finished. But I was wrong, the hubby hates the popcorn ceiling and is determined that we are going to remove it all. 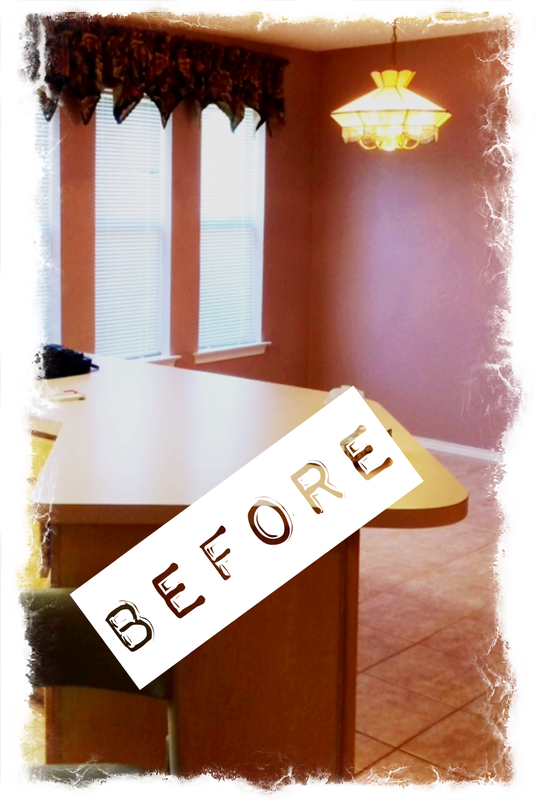 Breakfast nook makeover before the popcorn ceiling removal. Well I came home from work to him scraping popcorn. 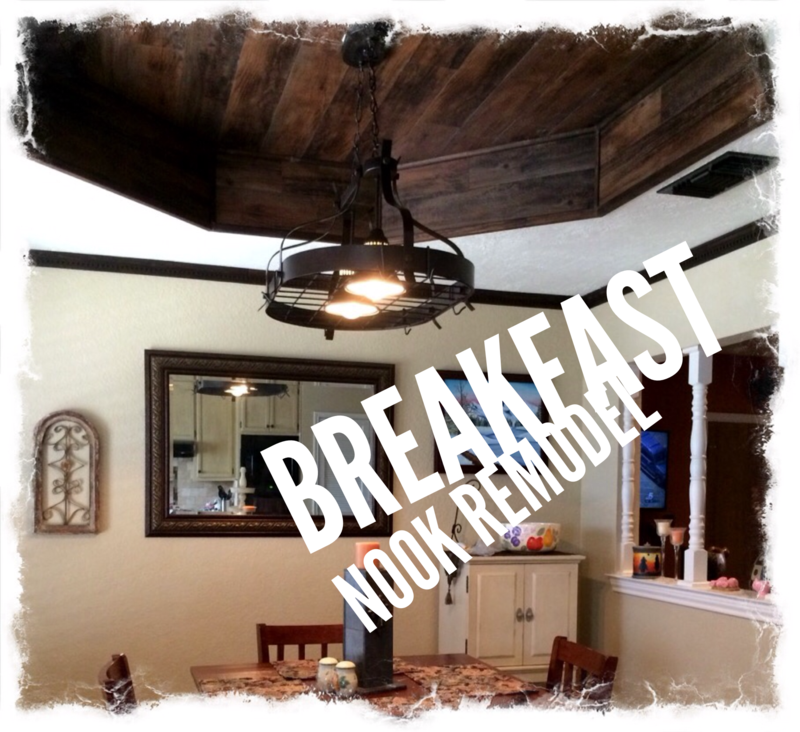 He said he decided he was going to put wood in the recessed areas in the ceiling, and put up crown molding in our newly breakfast nook remodel. I was ok with the crown molding but wasn’t so sure about putting wood in the recessed areas in the ceiling. 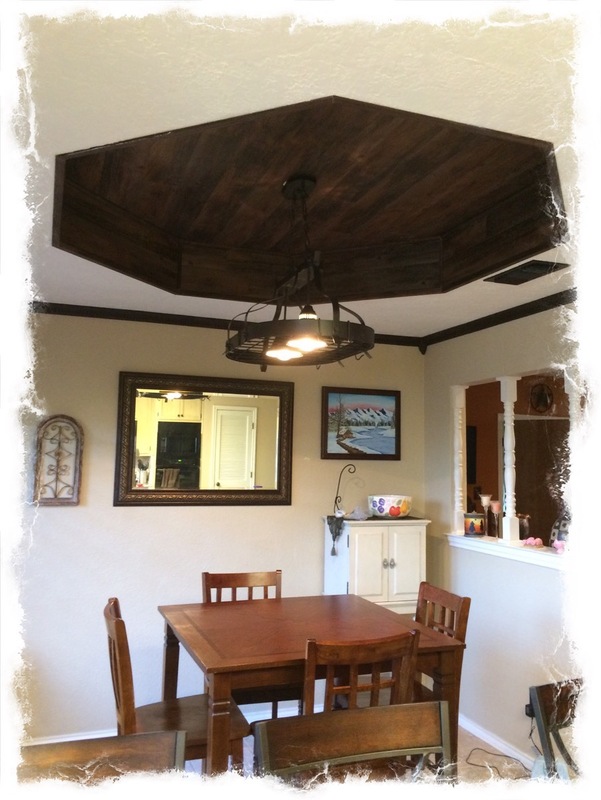 So after removing popcorn ceiling, texturing and painting it, the hubby put up the crown molding, and faux wood slates in the recessed area. I was afraid that it would make the room to dark, but I love it. He did a really nice job. I think that we are now finished with this room for now. Eventually we will be replacing the floor tile. But that’s later on down the road. I would also like to repaint my table, or maybe even make another. I want to give it some color. Put a darker stain on top, then paint the rest turquoise color, green, etc. Not sure how that would look though. What do you think? We are still working on the kitchen cabinets, but we are making progress. 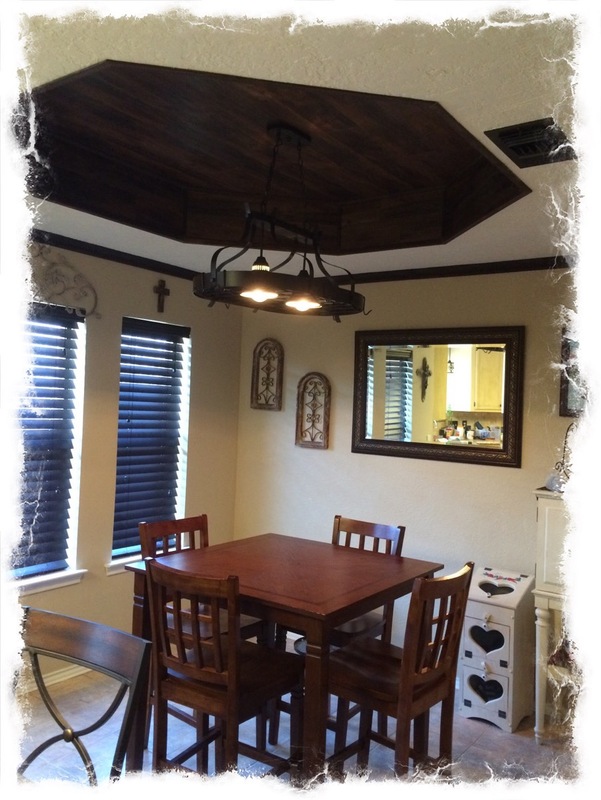 How do you like the faux wood in the recessed area of the ceiling of our breakfast nook remodel? I love the dark wood. I have tray ceilings in my bedroom and dining room. I am thinking about doing a ceiling treatment in the bedroom. Your nook is pretty. Thank you Trish! Hubby said he was never doing another one that shape again. He had a hard time getting the angles right. Thanks for stopping by.